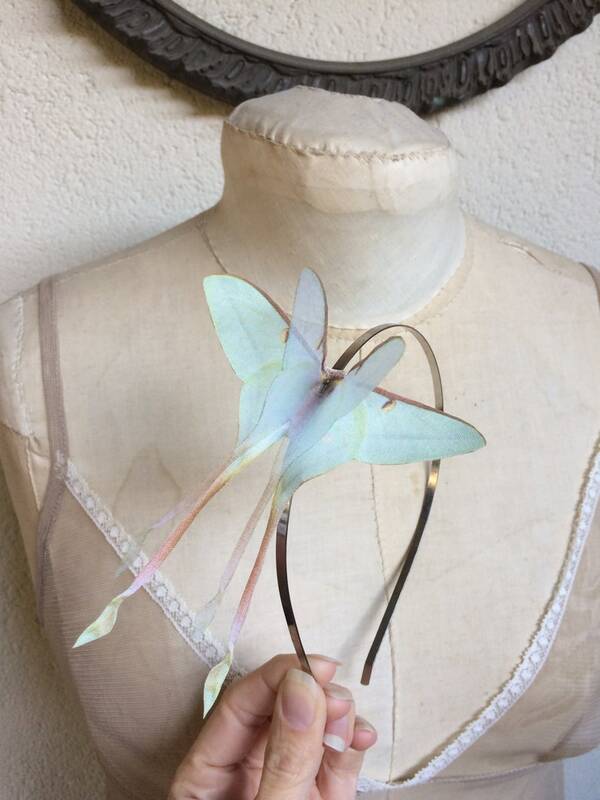 A special handmade hairband headband with a large Chinese Luna Moth (Actias Dubernardi). 1 piece. 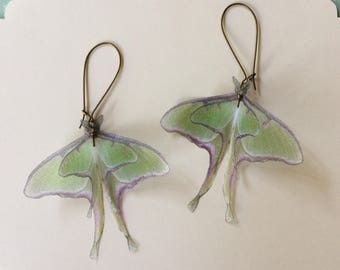 These fabric moths are delicate. You can wear them on your hair every day but don’t stretch, don't wash (also if they are waterproof) and don’t spray perfume or hair spray over them. 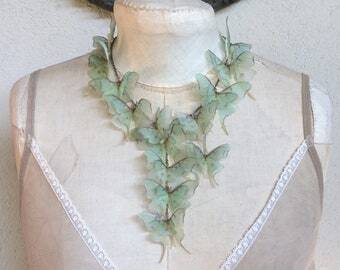 I created this Chinese Luna Moth using 2 layers of fabric: the large one is cotton and the small one is silk organza, and it measure about 10 x 12 cm. 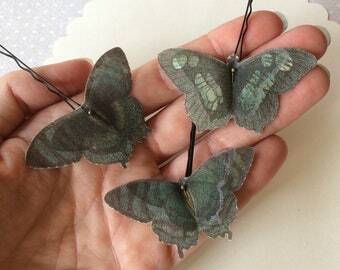 In the last photo you can see some different hairbands headbands with moths and butterflies. Contact me if interested! 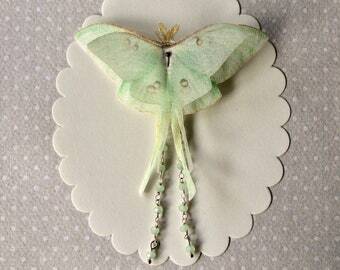 These moths will fly to you with registered tracked airmail by Poste Italiane shipment service.